No these aren't new novels, they're some pretty awesome picture books from Insight Editions that should definitely make fans of the wizarding saga smile. 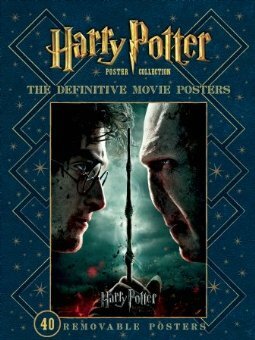 Harry Potter: The Definitive Movie Poster Collection is a massive compendium of movie posters, with piles of variations, from across all 8 major motion picture releases. 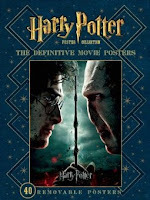 The Harry Potter experience is global, and Harry Potter: The Definitive Movie Posters artfully anthologizes forty display-worthy movie posters of international renown from the film's culturally transforming films. This elegant, large-scale format captures the magic and sense of the mounting excitement that surrounded the screenings worldwide. Beloved characters, powerful emotions, and thrilling moments leap from the page. The posters are printed on glossy card stock inside a protective cover. Easily removable as full sheets, they're crease-free and perfect for displaying. Featured images include the iconic depiction of Hagrid and young Harry looking up at Hogwarts castle; the all-knowing gazes of Professors Dumbledore and McGonagall; the romantic Yule Ball costumes; the chilling face of Voldemort; and many others. You'll want to display each and every image! 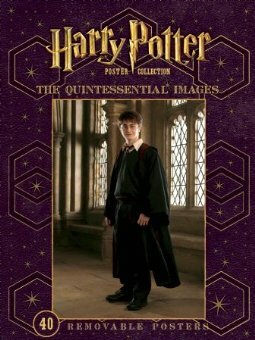 The second book coming down the pike is dubbed Harry Potter: The Quintessential Images and contains imagery of all the major (and minor) characters from the movies. Harry Potter: The Quintessential Images gathers forty-four large-scale posters of cherished characters from all eight of the franchise's installments into one handsomely displayable book. These artful and iconic images celebrate pivotal plotline moments and highlight each character's evolution through the years. Both large scale paperback volumes in the set clock in at a big 40 pages and will retail for $24.99 when they're released next month (September).